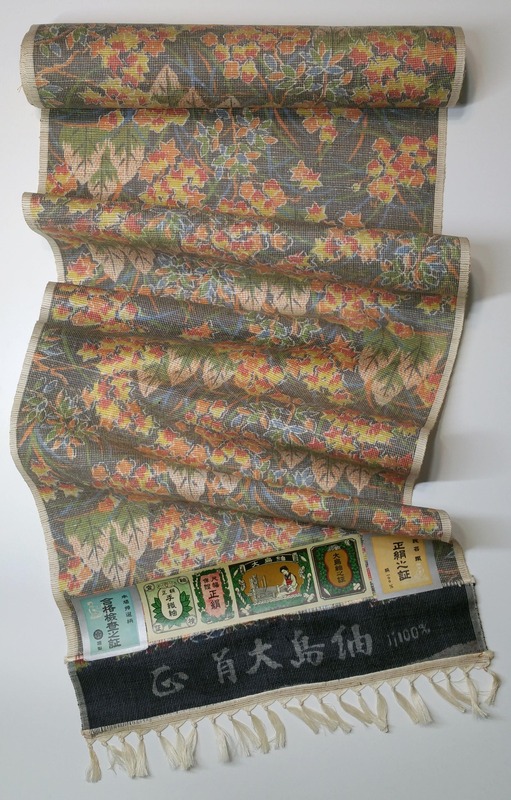 This bolt of fabric still has it's original labeling showing it as an "Oshima Tsumugi" silk. It is unused, old stock and is in perfect shape. It can be used for a formal wrap, home accessories or clothing accessories. 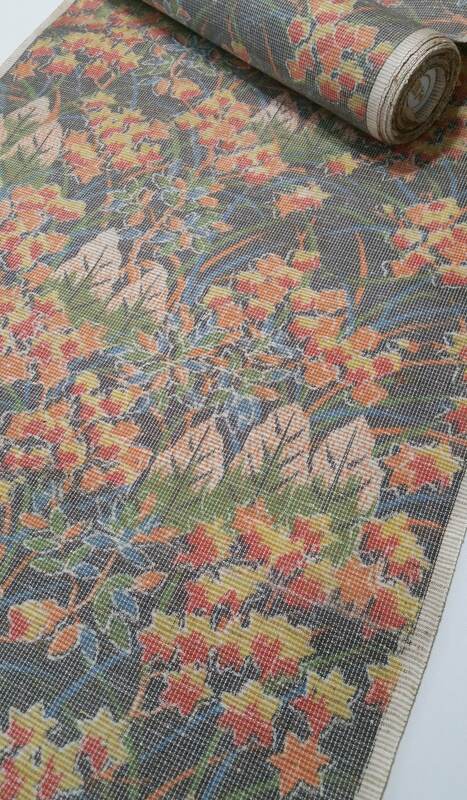 Oshima tsumugi highly regarded and is used for high quality kimono. 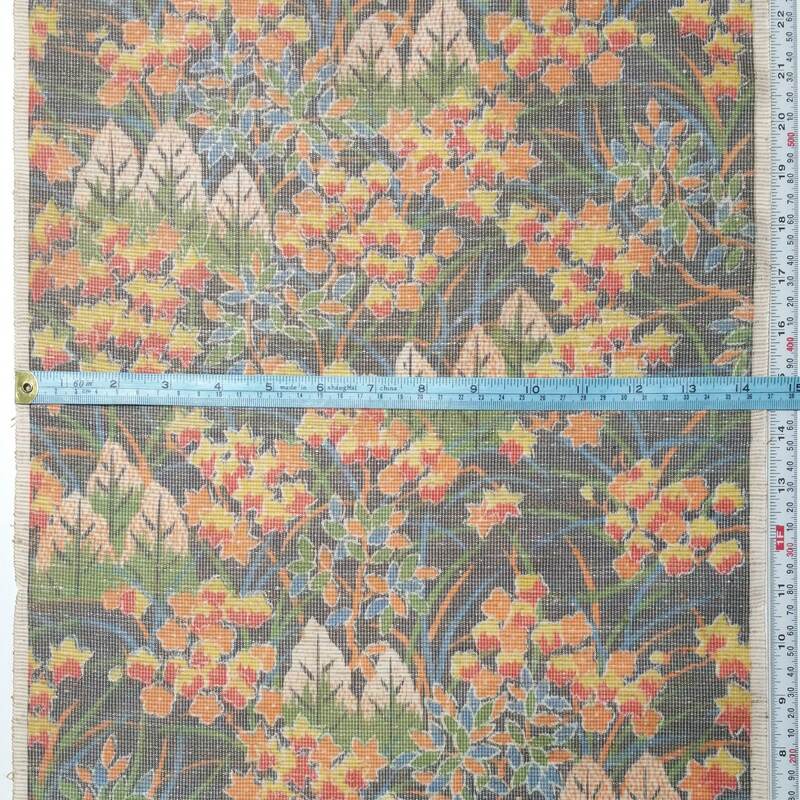 It is a light to medium weight silk. 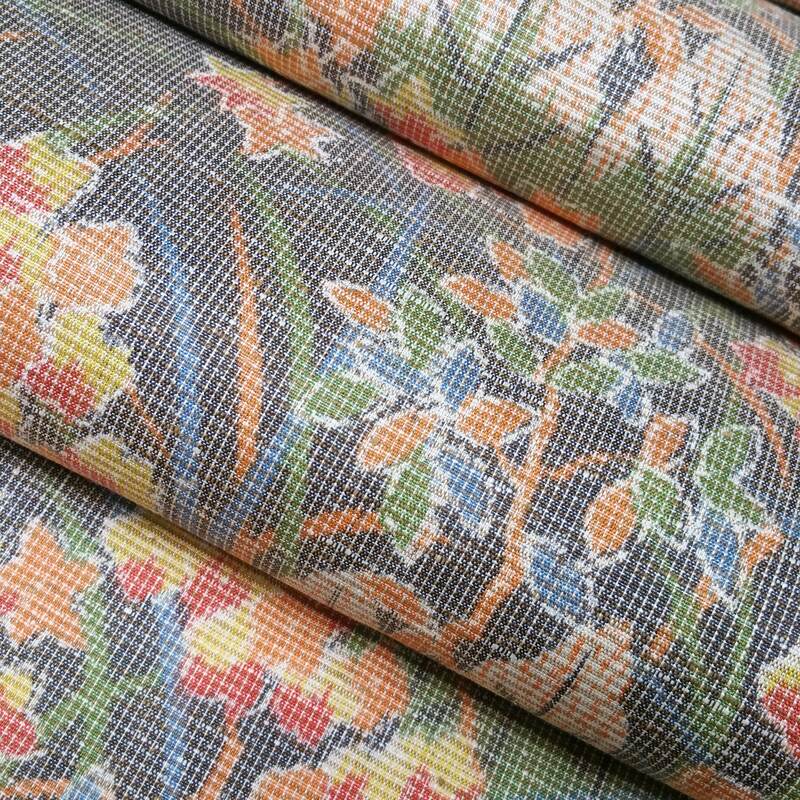 It is masterfully created using pre-dyed threads that are then woven (kasuri) to create the pattern in the fabric. 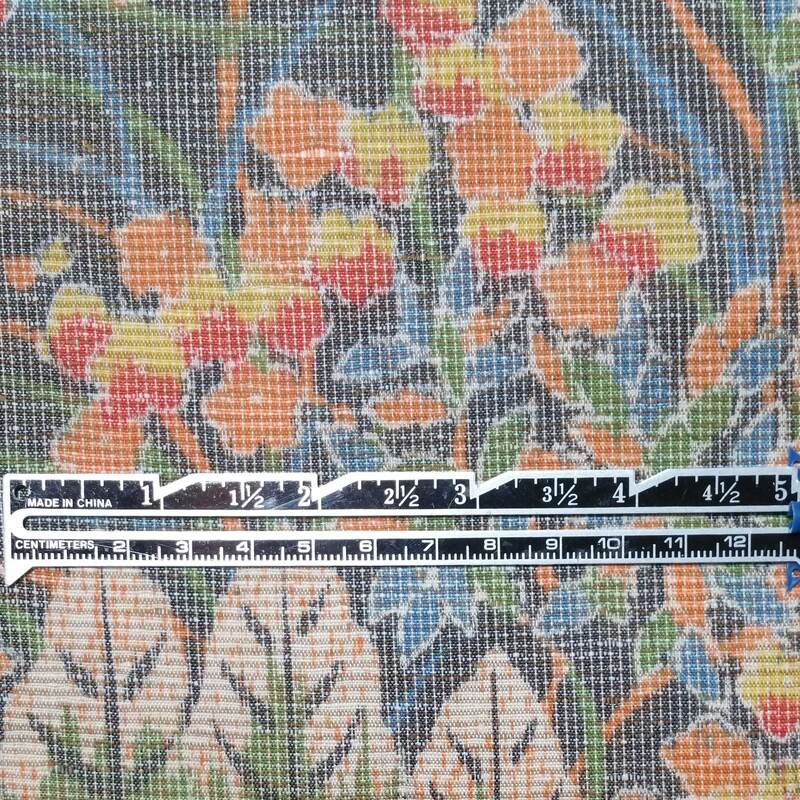 Unlike other kasuri patterns, Oshima tsumugi patterns have crisp, tidy edges (not blurry). 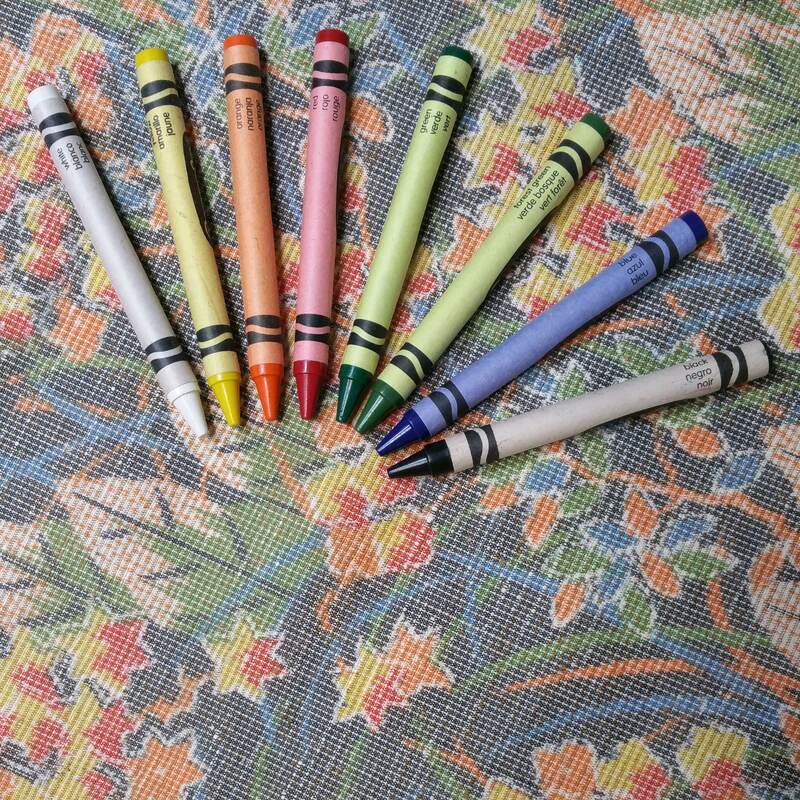 Oshima tsumugi is known for its natural dyes. 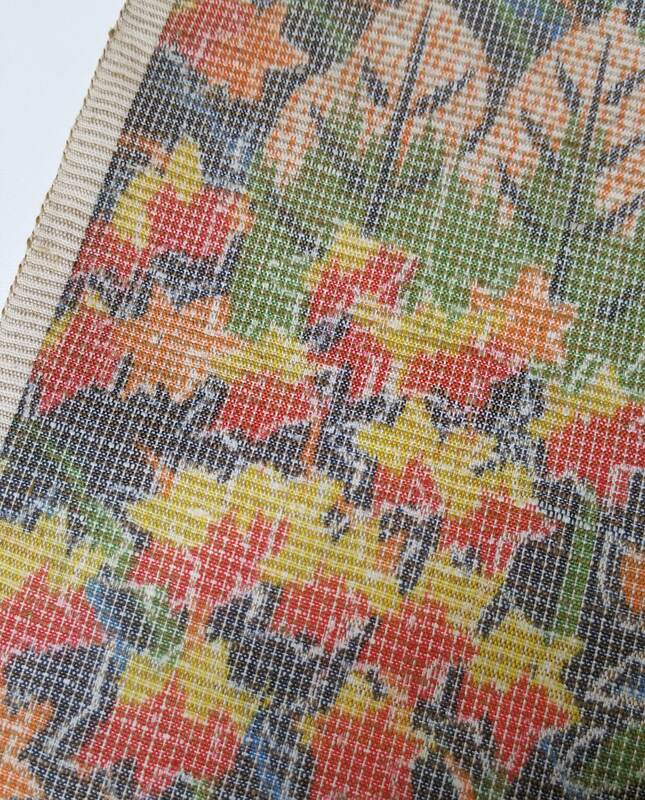 Typical of tsumugi silks, the warp and weft threads are different colors. The weft of this silk is an off-white and tan color while the warp is black and off-white. Oshima tsumugi has a crisp drape, is resistant to wrinkles and has a subtle sheen. 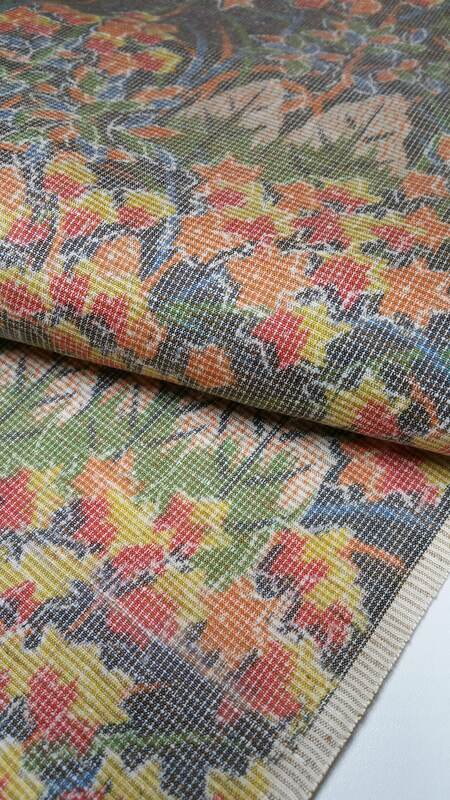 Unlike other tsumugi fabrics, Oshima tsumugi has a smooth texture with a cotton-like feeling. 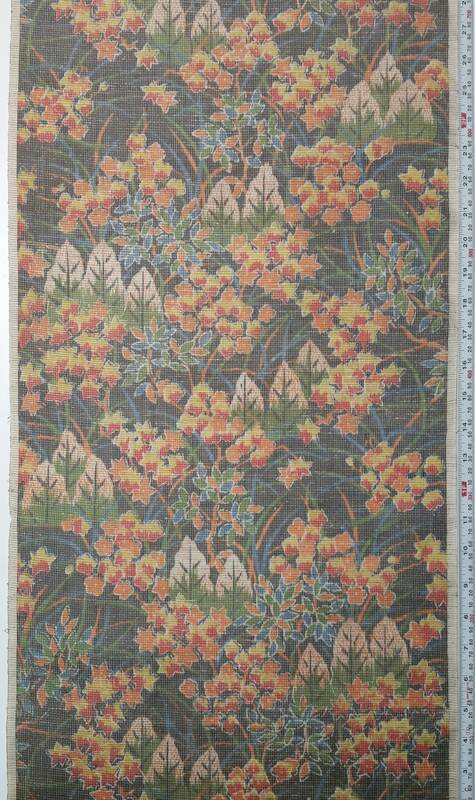 This silk has an amazing pattern of flowers in hues of orange, red, and yellow over a black background. 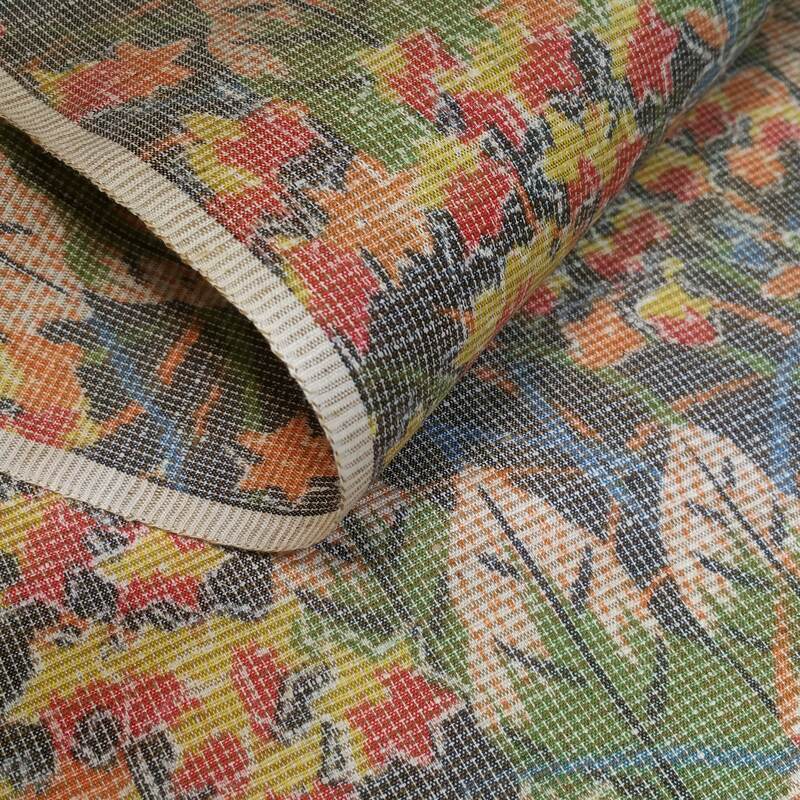 Green, orange and blue hued foliage and grasses are also woven into the pattern. Pine trees in off-white and green are also seen in the fabric.